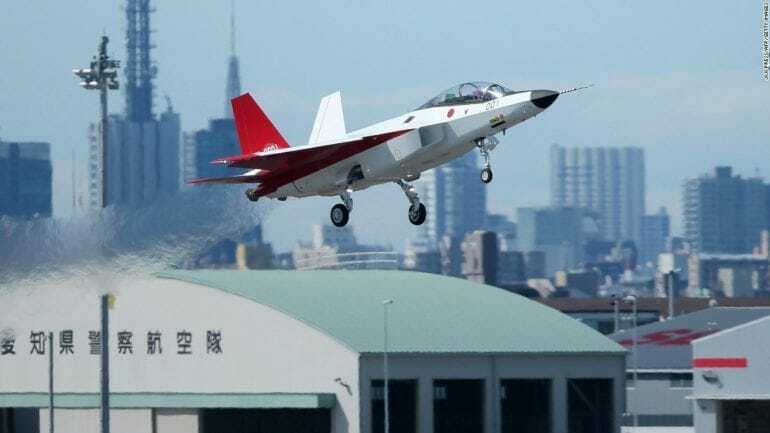 It is becoming more and more necessary for countries to maintain their military presence as it looks like that the world is displaying an ever-growing level of tension between the greatest powers on earth. But who has the strongest army? This is the question that many people have asked, and believe us when we say that people have differing opinions on the matter. But we can still retain some solid objectivity as we go rank the world strongest armies. 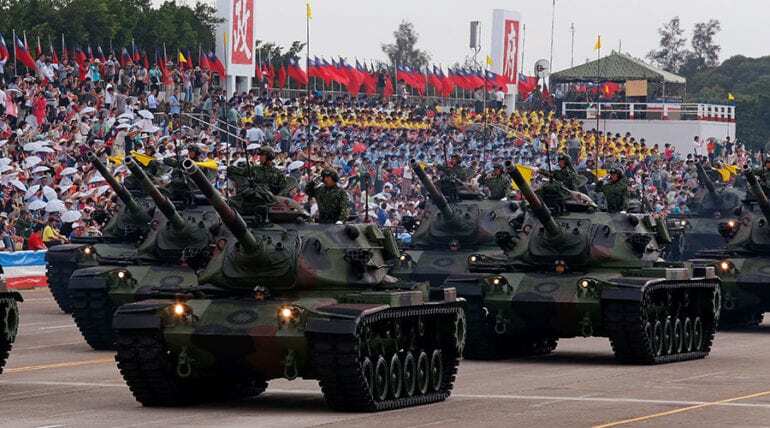 The Colombian military is broken down into three sections: the National Army of Colombia, the Colombian Navy and the Colombian Air Force. 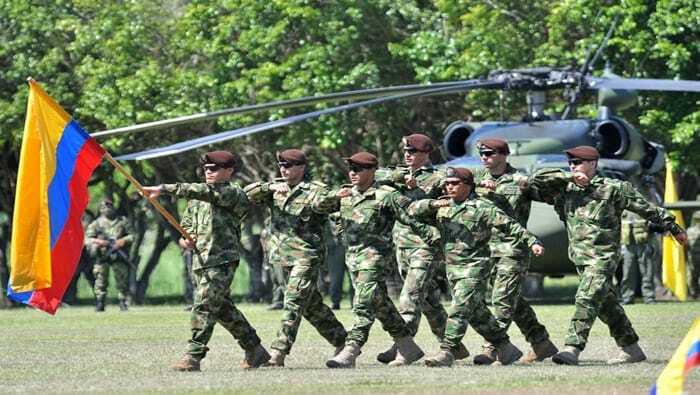 Colombia currently boasts a population of 46,736,728, of which 445,000 are active members of the military and 62,000 are in the reserves. The nation has no tanks but owns 447 air crafts and 234 naval vessels. The President of Colombia is in charge of the military as he holds the position of Commander-in-Chief. The army is formed by brigades, special units, and divisions with specific goals in mind. The Southeast Asian nation is made up of a cluster of islands and is framed by the South China Sea, the Philippine Sea, and the Celebes Sea. The military in the Philippines is broken up into three branches – the Philippine Air Force, the Philippine Navy and the Philippine Army. There are 220,000 active frontline personnel and 430,000 on reserve duty, and own 135 air crafts, 45 tanks, and their naval strength stands at 135. 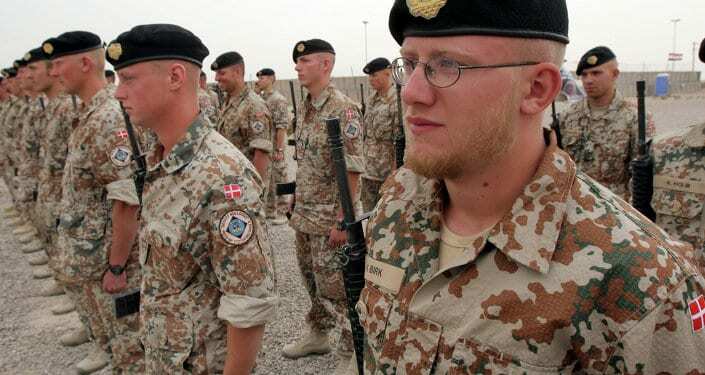 The northern country of Denmark holds the 39th place in the list of strongest militaries in the world. The Scandinavian country, which sits on the shores of the Baltic Sea, have been known as a seafaring nation from the 10th century onwards. 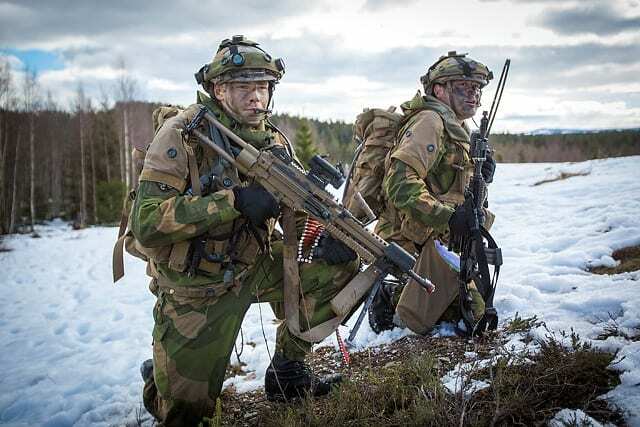 Denmark has 25,000 people who are currently on active duty with an added 63,000 on reserve. They hold 74 air crafts, 57 tanks and have a naval force of 90. Spain has always been a leader in terms of their conquering abilities, and as such, their military structure. Spain is bordered by the Mediterranean Sea, Atlantic Ocean, Portugal, and France. The country has always used their access to the ocean to their advantage. Currently, Spain has 125,000 men and women on active duty and 16,200 on reserve. Their air craft count stands at a whopping 540, their tank count at 327 and their naval strength at 46. The Netherlands, also known to us as Holland, has been a relatively calm nation in terms of their historical international battles. Holland is bordered by Germany, Belgium, and the North Sea. They share a maritime border with Belgium, Germany, and the United Kingdom. In terms of their military strength, they come in at number 37 for their population to military ratio. They have 50,000 active members of the military with an added 32,200 reserve members. They have 164 air crafts, no tanks and 56 naval vessels. Not very surprising, honestly, North Korea holds the number 36th spot in the world in terms of military power. 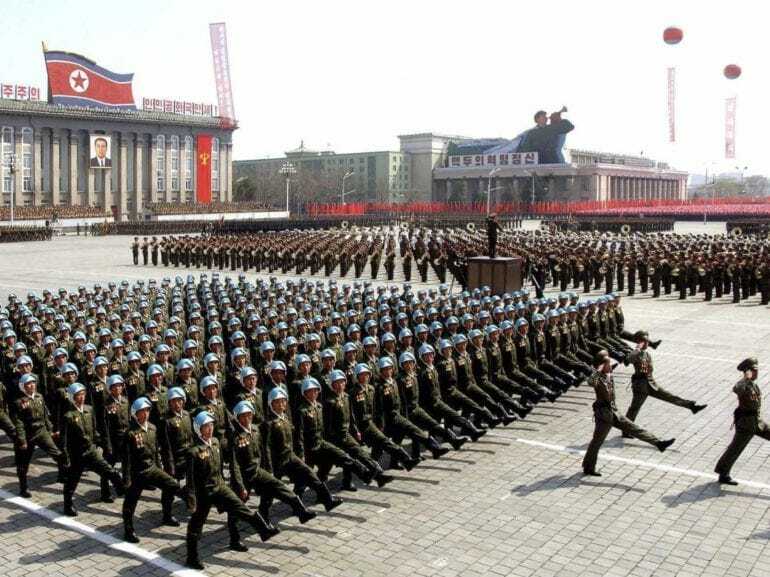 What makes North Korea so unique is not only the fact that they are a socialist state that is entirely run by one leader but the fact that they have a very large number of active and reserve duty personnel – 700,000 active and 4,500,000 to be exact. They hold 944 air crafts, 4,200 tanks and 1,061 naval vessels. The sheer number of their prepared air, ground and water power is enough to make any other country think twice at attacking them. 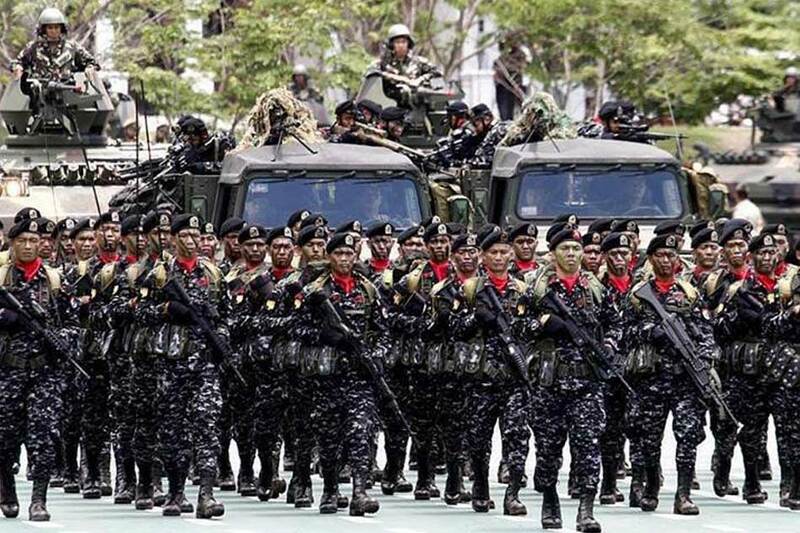 Malaysia is yet another Southeast Asian nation that boasts a serious military front. Malaysia is broken up into thirteen states and three federal territories that are divided by the South China Sea, giving the country two sub-area: Peninsular Malaysia and East Malaysia. 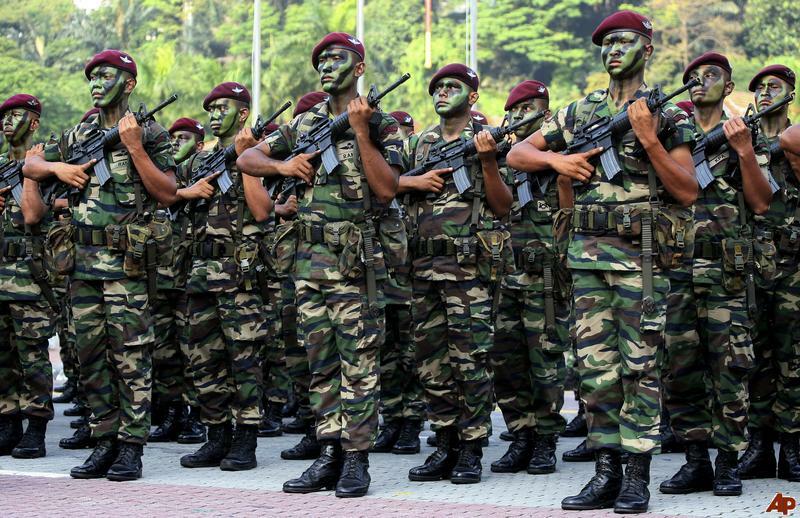 Malaysia has 110,000 active military personnel and 296,500 reserves. They have 227 air crafts, 74 tanks and 61 naval vessels. With a population of 8.6 million people, Austria has a military presence that is rather interesting. The landlocked European nation boasts mountain ranges and lakes but has no access to the ocean from its location. 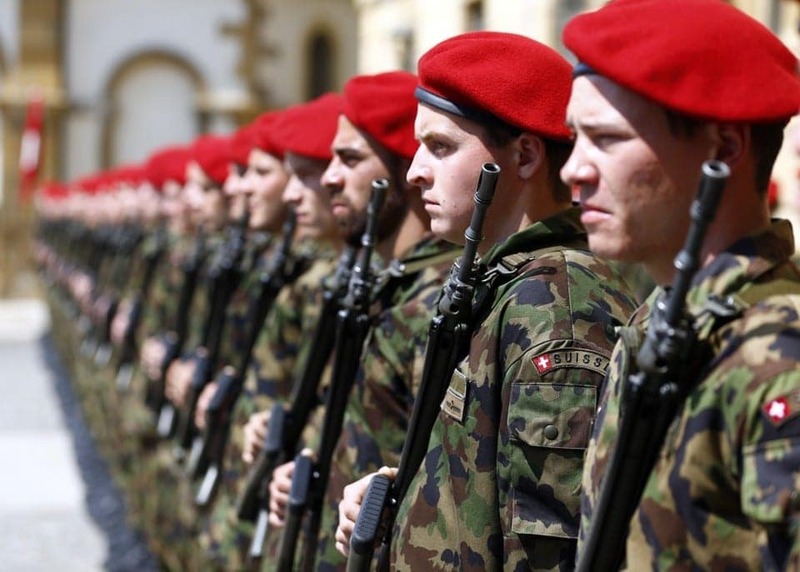 Austria has 30,000 active individuals in their nation’s military services, and 27,000 on reserves. They have 125 air vessels and 56 tanks. Seeing as they do not have access to the water, they have no naval vessels. Another Scandinavian nation on the list. Norway holds the western section of the Scandinavian Peninsula in addition to other islands around the area. The country has laid claim to parts of Antarctica, and until 1814, Norway’s reach had gone as far as including Greenland, Iceland, and Isle of Man. At this point in time, they have 26,500 people on active duty and an additional 45,250 on reserve duty. They hold 104 air vessels 52 tanks and 62 naval vessels. The country of South Africa has needed to defend itself over the course of its history enough times that they knew they needed to run a tight ship (no pun intended) when it came to their military. The South African National Defense Force was founded in 1994 and has spent the majority of their time keeping the peace within its borders. 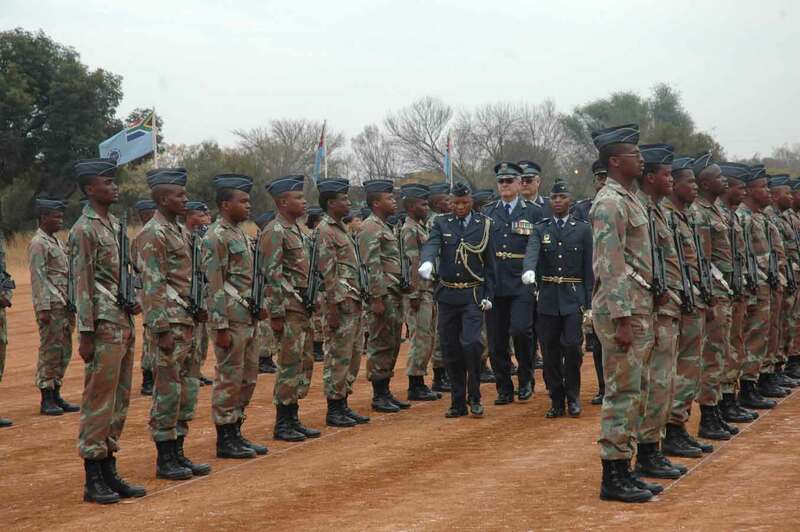 South Africa has 89,000 people on active duty, and 17,100 on reserves. They have 212 air crafts, 195 tanks and 30 ships. In the area between North America and South America, known as Central America, lies Mexico. It is bordered by the United States of America on the north end and Belize and Guatemala on the southern end. On either side of the nation, there is the Pacific Ocean and the Gulf of Mexico. The Mexican army is built up of two branches – the army, which includes within it the Mexican Air Force, and the Mexican Navy. At this time, Mexico has 270,000 active soldiers and 76,500 on reserve. They have 400 air crafts and 143 naval vessels. To think that Switzerland even needs a military is a funny thought. The abstaining and neutral nation is the very place where conflict does not follow. It’s within the borders of Switzerland that Geneva is located, the very place of democracy and discussion rather than fighting. 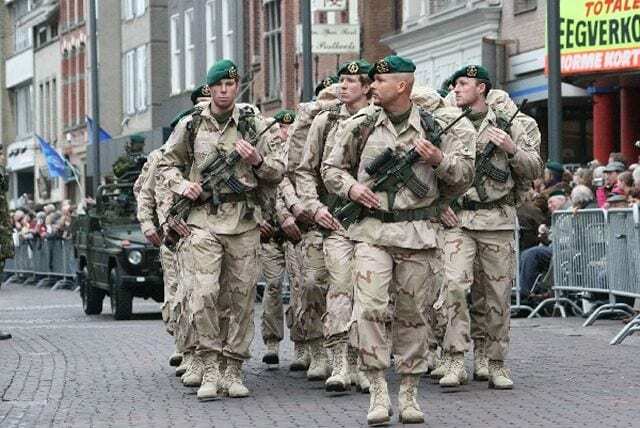 Despite the fact that Switzerland is supposed to be the calm center of the storm, it does hold 140,000 active members of the military in addition to their 77,000 reserves. They have 185 air crafts and 224 tanks. The Czech Republic is another landlocked nation on this list, located in eastern Europe. The Czech Republic’s armed forces consist of the Czech Ai Force and the Czech Land Forces. Seeing as they do no have ocean around them in any way they do no need naval vessels. Currently, the Czech Republic has 21,100 active frontline personnel and 11,000 reserve personnel, 114 air crafts, and 123 tanks. Saudi Arabia is one of the biggest nations in the world, more specifically they are the fifth-largest state in Asia and second-largest one in the Arab world. Saudi Arabia is the only nation in the world with access to both the Persian Gulf and the Red Sea. There is a current population of 27,752,316 people in Saudi Arabia, within that number they have 235,000 on active military duty and another 25,000 on reserve. They boast 722 air crafts, 1,210 tanks, and 55 ships. The northern African nation of Algeria sits right beside Tunisia, Libya, Morocco, and other smaller nations. It also has direct access to the Mediterranean Sea on the northern end. Algeria has 512,000 active soldiers and 400,000 reserve members. They also have 451 air crafts, 975 tanks and 60 naval vessels. The nation has been an independent one since 1962 when it gained its independence from France. The Republic of Singapore is yet another Southeast Asian country to make the top armies in the world list. It is said that the military of Singapore is the most technologically advances military in all of Southeast Asia. 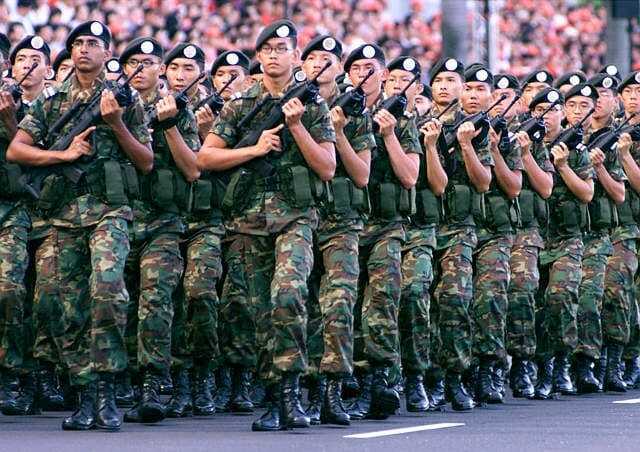 Singapore has a population of 5,674,472, of that there are 72,000 active military personnel and 950,000 reserves. Singapore has 262 air crafts, 212 tanks and 40 ships. Ukraine has had a lot to deal with considering their neighbors to the east, Russia, decided to go into their country unannounced. Having Russia as your neighbor is probably what made the Ukraine defend itself the way it did and prepare for an even more forceful attempt from their Russian counterparts. There are currently 160,000 active frontline personnel and 1,000,000 reserves. They hold 234 air crafts, 2,809 tanks and 25 ships. 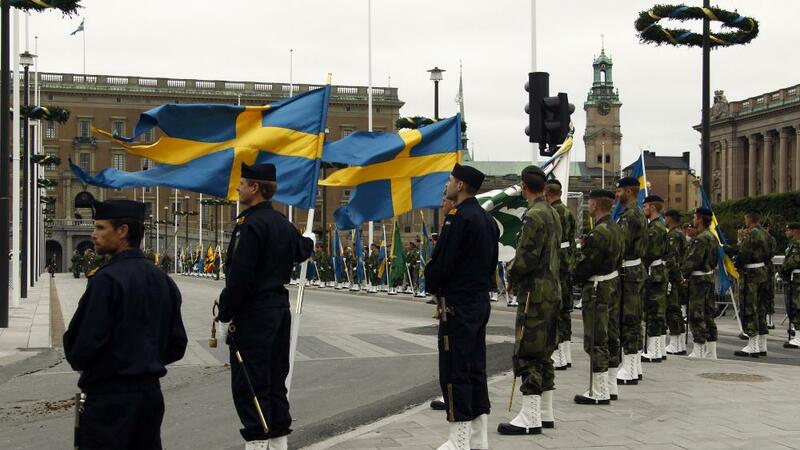 The Swedish Armed Forces are entrusted with the protection of Sweden from foreign and domestic threats. Sweden has rarely gotten itself involved in international crises and has turned its gaze towards their own interests and issues. They currently have a population of 9,801,616, with 14,000 of them in active duty and 26,000 in reserve. They have 228 air crafts, 120 tanks and 313 ships. Obviously, Iran would be on this list. One of the most threatening countries on earth, especially due to their work towards a nuclear bomb. 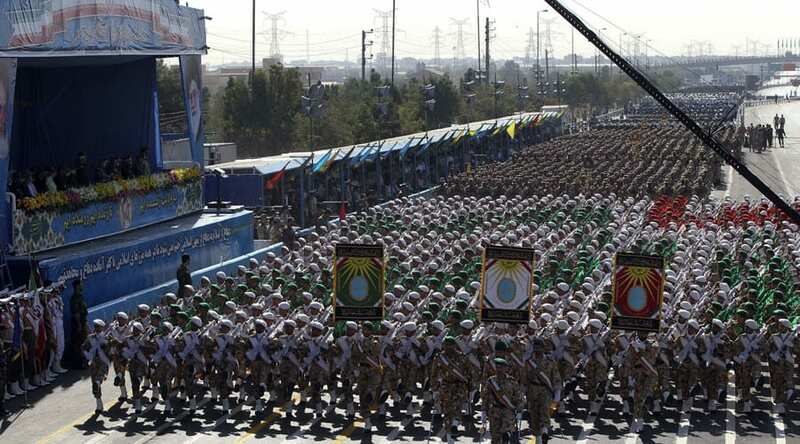 While the United States considered Iran to be one of the biggest threats, Iran has made itself very prepared for any form of engagement with other Middle Eastern nations or any Western ones. They have 545,000 active military members and 1,800,000 on reserves. They have 479 air crafts, 1,658 tanks, and 397 naval vessels. The South American nation of Brazil has a military to content with. Brazil has the second-largest military in Latin America and has not been invaded or threatened since 1865 in the Paraguayan War. 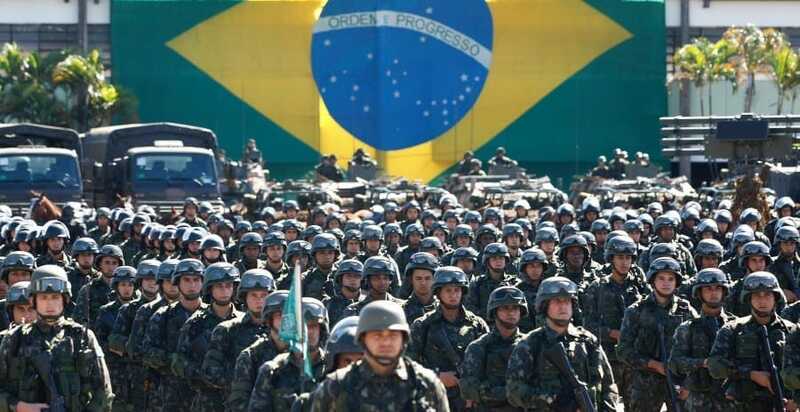 At this point in time, Brazil has 330,000 active military members and 1,800,000 reserves. In addition, they have 735 air crafts, 486 tanks and 113 ships. Brazil has no territorial disputes with any of its neighbors and hasn’t needed to deploy any troops. The Socialist Republic of Vietnam has one of the largest populations were capita in the world (obviously we are counting China in there too). 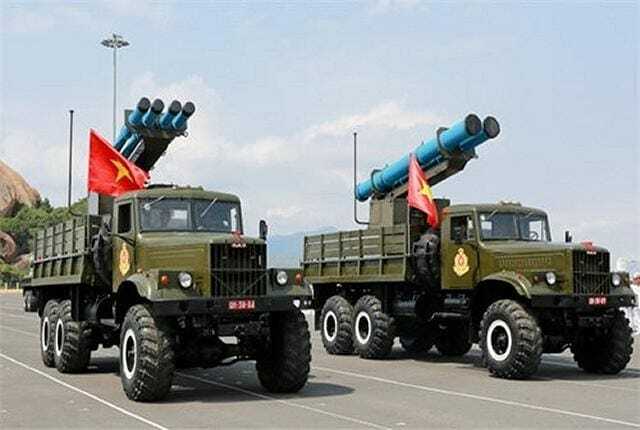 The Vietnam People’s Armed Forces is a three part regimen that consists of the Vietnam People’s Public Security, the Vietnam People’s Army, and the Vietnam Civil Defense Force. The current population of Vietnam stands at 94,348,835. The amount of active frontline personnel comes to 415,000 and their reserves are at an astounding 5,040,000. They have 289 air crafts, 1,470 tanks and 65 naval vessels. Thailand is in the middle of the Indochinese peninsula in Southeast Asia. The Royal Thai Armed Forces are built up of the Royal Thai Army, the Royal Thai Navy and the Royal Thai Air Force. There are 310,000 active soldiers and 245,000 reserves. The nations boasts 551 air crafts, 722 tanks and 81 sea vessels. Thailand is broken up in to many islands as well as a large number of provinces within the Southeastern nation. Many people forget that Poland was the first nation to be invaded by Germany during World War II. It seems that after that horrendous war, Poland took it upon itself to be more prepared than ever for another such occasion. 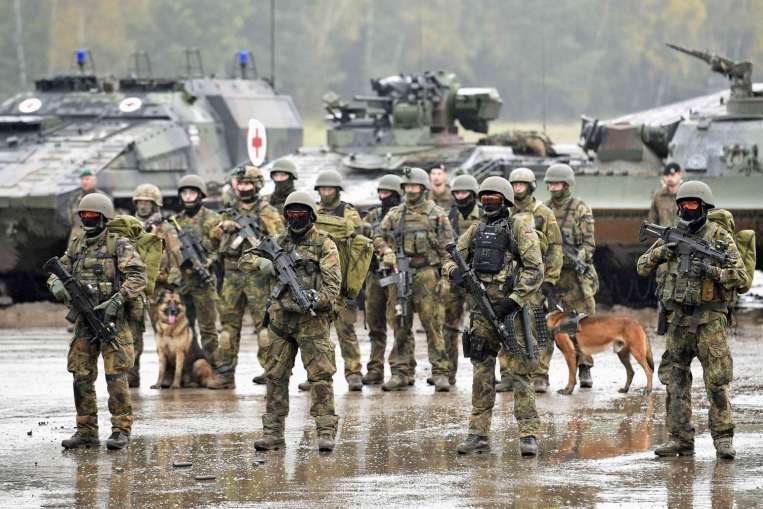 Poland has 120,000 active frontline personnel and an additional 515,000 reserves. They also have 461 air crafts, 1,009 tanks and 83 naval vessels. 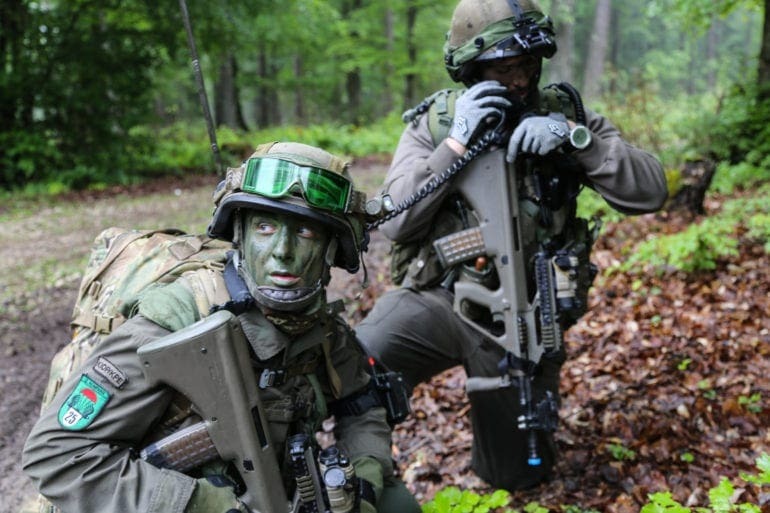 The Polish armed forces are made up of four branches – Land Forces, Air Force, Navy and Special Forces. The Arab Republic of Egypt rests on the northeastern point of Africa and borders with Israel and the Mediterranean Sea. The country itself spans many miles and consists of a very warm and desert climate. 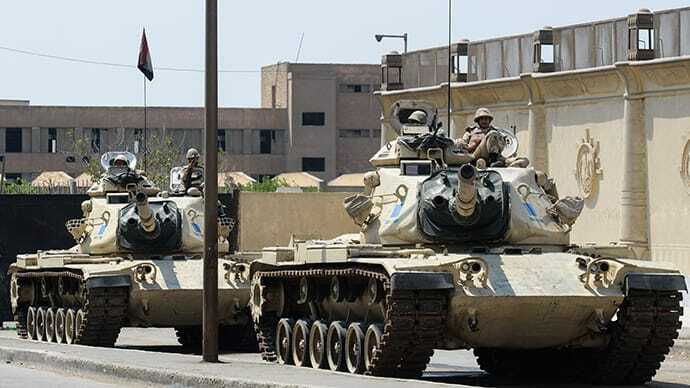 Egypt has a population of 88,487,396 with 470,000 of them on active duty and 800,000 on reserves. The nation holds 1,133 air crafts, 4,624 tanks, and 245 naval vessels, all of which are a very large amount. The Islamic Republic of Pakistan lands at number 17 on the list of strongest armies in the world. 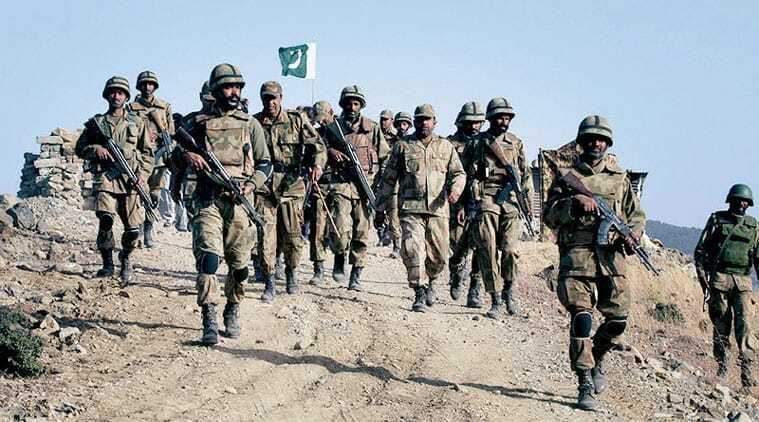 Pakistan has the sixth-largest military force in the region. Pakistan’s land goes back to the cradle of civilization with many rounds of cultures and ancient populations. Today, Pakistan has 199,085,847 people within its borders. They have 620,000 active soldiers and 515,000 reserves. In addition to their manmade force, they have 923 air crafts, 2,924 tanks and 74 naval vessels. Italy is a peninsula, or as we all learned in school, the boot of Europe. It is surrounded by the Mediterranean Sea and bordered on the northern end by France, Austria, Slovenia, and Switzerland. Italy has a nation within its borders, Vatican City, which has its own separate military. 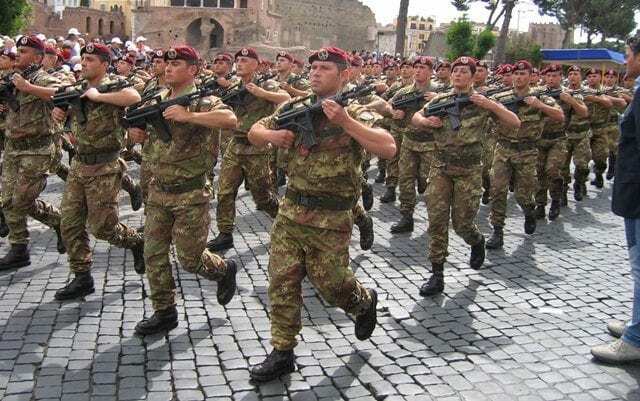 The Italian Army, Air Force, Navy, and Carabinieri are what make up the Italian Armed Forces. 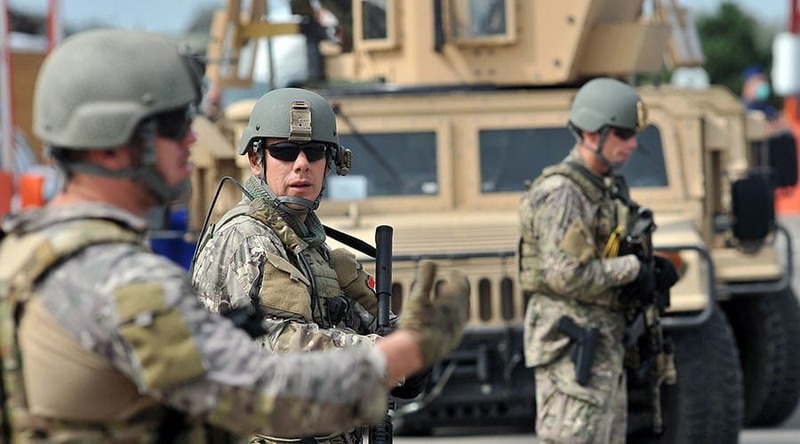 The nation currently has 320,000 active frontline personnel and 42,000 reserves. They also have 785 air crafts, 586 tanks and 174 ships. Taiwan is part of the Republic of China (not to be confused with the People’s Republic of China). The military situation in Taiwan is a surprising one considering that it is one of the smaller nations on this list. The Republic of China’s army took inspiration from the National Revolutionary Army. They currently have a population of 23,415,126 people, 300,000 active soldiers and 1,675,000 reserves. They also own 815 air crafts, 2,005 tanks and 102 ships. Coming in at number 14 is the northern brother of the United States – Canada. For the geographic size of the country, they have a small population of 35,099,836. That may sound like a lot but considering Canada is the size of the United States in its width and almost height, it’s nothing. 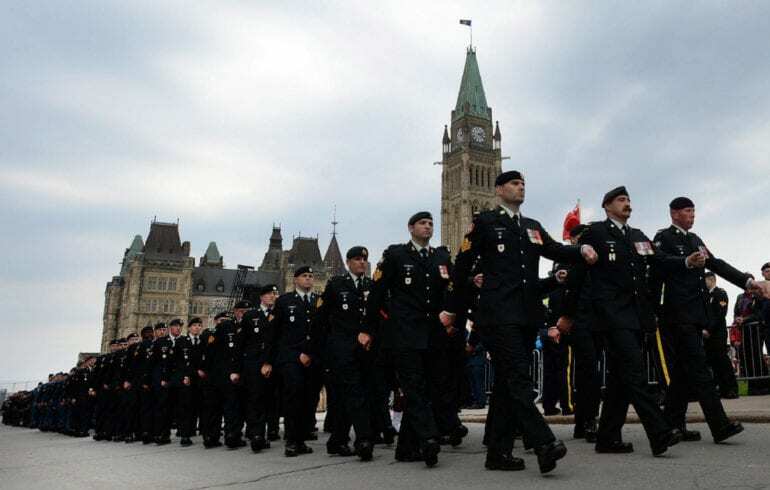 Canada has 95,000 active soldiers and 51,000 reserves. They have 426 air crafts, 181 tanks and 63 ships. Canada has had a calm history when compared to the rest of the world, they do not like meddling with other democracies and as such have kept a reasonable amount of neutrality. Australia is separated from other countries in the world entirely. The country is basically a giant island the size of the United States with coastlines on the Pacific, Indian and Southern oceans. 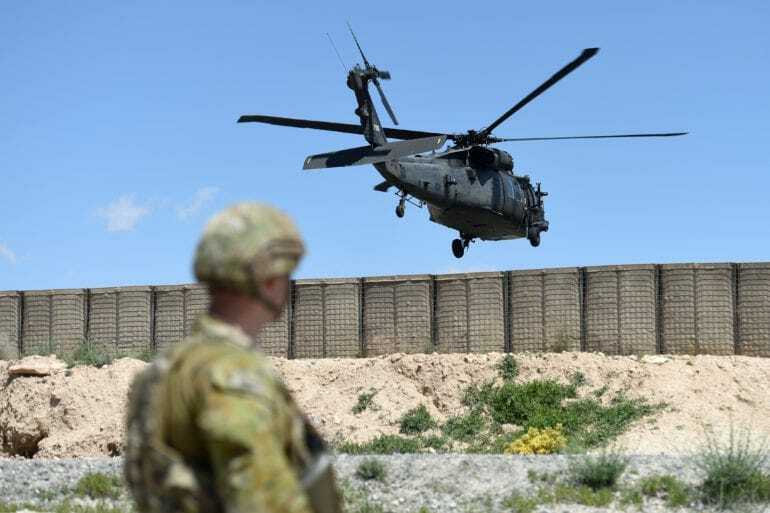 Australia currently possesses 60,000 active members of the military and an additional 44,240 reservists. They also have 417 air crafts, 59 tanks and 52 ships on hand, all of which are part of the Australian Defence Force. The Republic of Indonesia is a nation situated between the Pacific and Indian oceans and is the largest island country in the world as it has over 17,000 islands. Throughout Indonesia, there is an active presence of Indonesia’s Armed Forces. 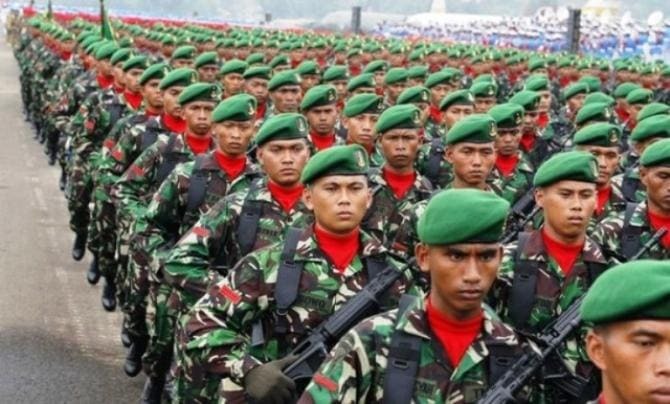 The Indonesian military consists of 476,000 active frontline personnel and 400,000 reserve duty members. They also have 420 air crafts, 468 tanks and 171 ships. Israel is without a doubt the smallest country on this list. From its inception, the State of Israel has been surrounded by enemy nations. They have fought each enemy when needed and made peace agreements with others that we amenable to such an arrangement. As a nation, Israel has mandatory conscription at the age of 18. There are currently 160,000 active frontline personnel and 630,000 reservists. For a nation of only 8 million, those numbers are staggering. 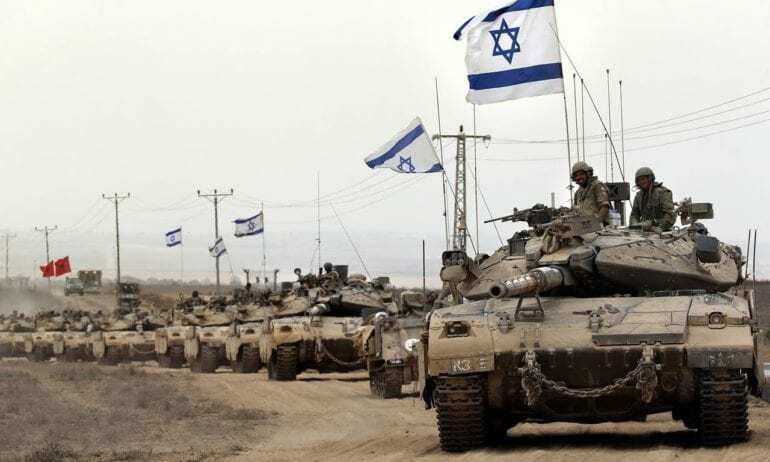 Israel boasts 691 air crafts, 4,170 tanks and 66 naval vessels. Sitting right atop Lebanon, which sits right above Israel, the Republic of Turkey is one of the few nations that are a part of the geographical space that is called Eurasia. 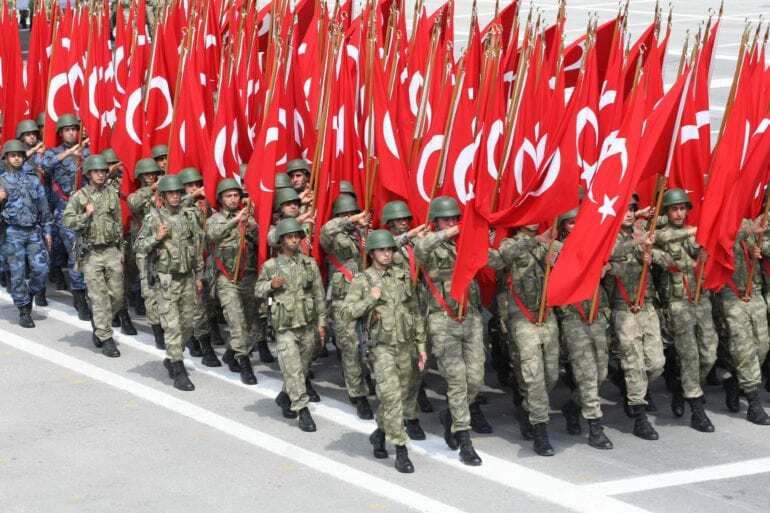 Turkey has a current population of 79,414,269 of which 410,500 serve actively in the military and another 185,630 are on reserve duty. Turkey has 1,007 air crafts, 3,778 tanks and 115 ships. Japan sits on the most eastern point of the Asian mainland continent. 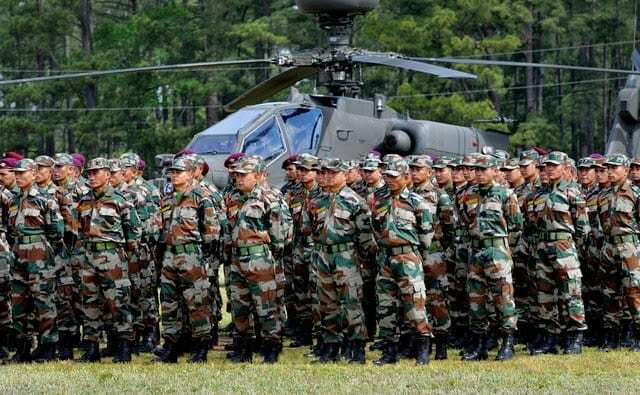 The nation’s army is unlike any other nation in the fact that it has a Self-Defense Force. What that means is that they have a right to engage with any nation that has attacked them, no matter what. At this point in time, Japan has 250,000 soldiers and 57,900 reservists. They also have 1,590 air crafts, 678 tanks and 131 ships. Germany has been a powerful nation for decades. The Federal Republic of Germany as it is officially called is a federal parliamentary republic. 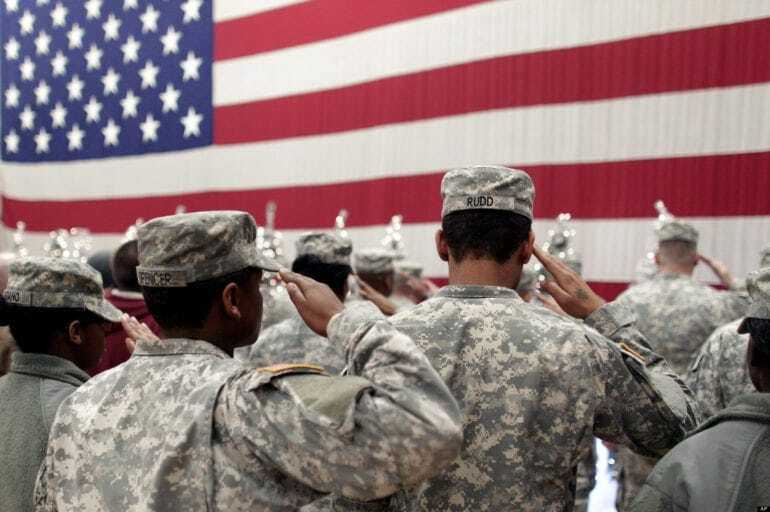 The country’s military is made up of the Army and special forces, Navy, Air Force, and Joint Support Service. There are currently 180,000 soldiers and 145,000 reservists. They hold 676 air crafts, 408 tanks and 81 naval vessels. First and foremost, South Korea needed to protect itself from North Korea, which is why they have the 7th strongest army in the world. The government allocates much of the fiscal budget to the military and the constant upgrade of its ranks. 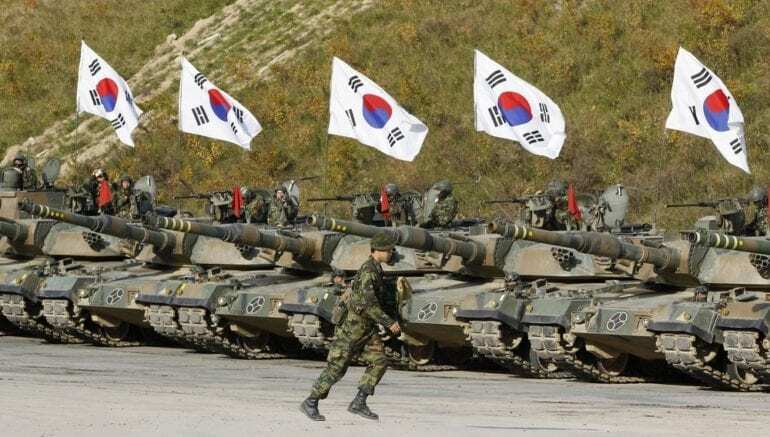 Today, the Republic of Korea has 625,000 active soldiers and 2,900,000 reservists! The goods that they hold in terms of tools are 1,451 air crafts, 2,381 tanks and 166 naval vessels. 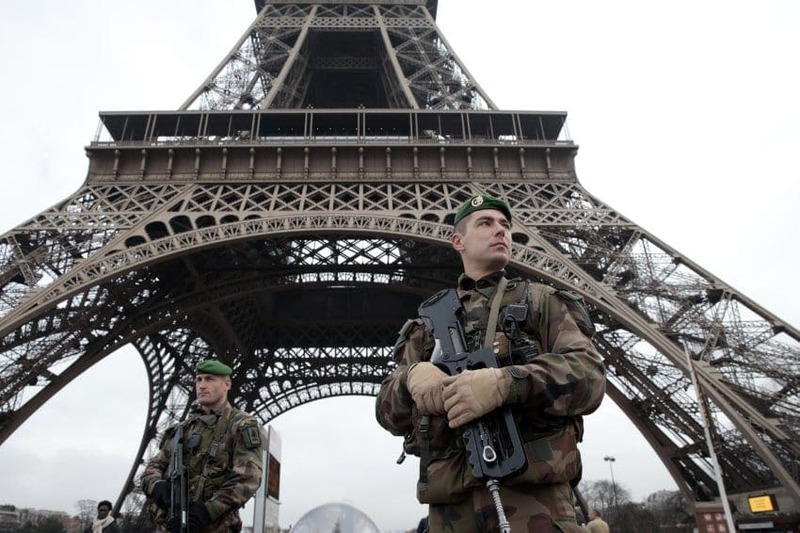 The French Republic has been a part of almost every major international conflict since the beginning of time. France is also known for its own internal issues and civil wars, as well as attempting to conquer nations outside their borders and oceans. 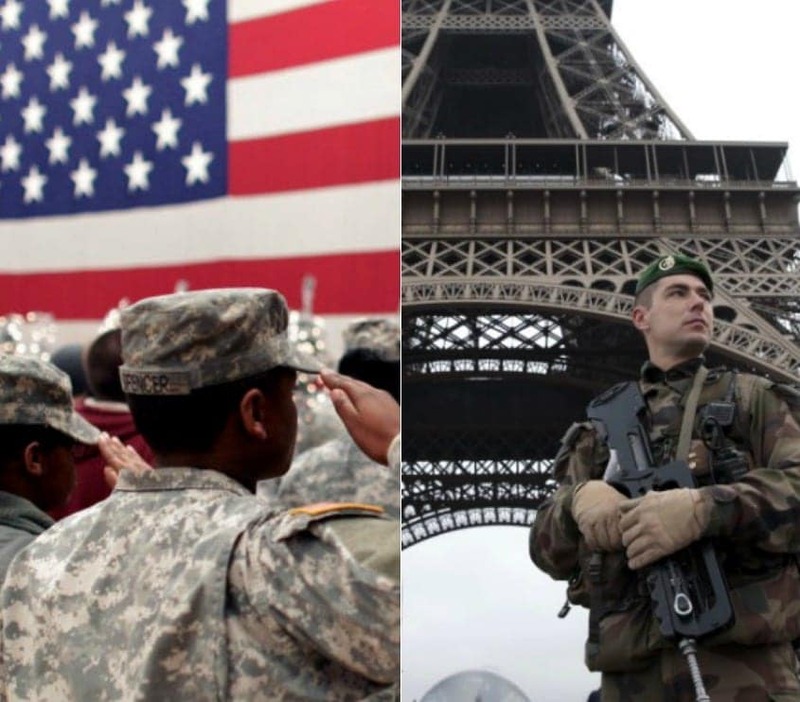 These days, France has a population of 66,553,766 of which there are 205,000 soldiers, 195,770 reservists and holds 1,282 air crafts, 423 tanks and 113 ships. The United Kingdom has been a powerful nation from its beginning. It is one of the oldest organized countries and has said to be the root of many current cultures. Her Majesty’s Armed Forces are a very proud and vital part of the nation’s structure. Queen Elizabeth II holds the title of Commander-in-Chief, while the Secretary of State for Defence advises. 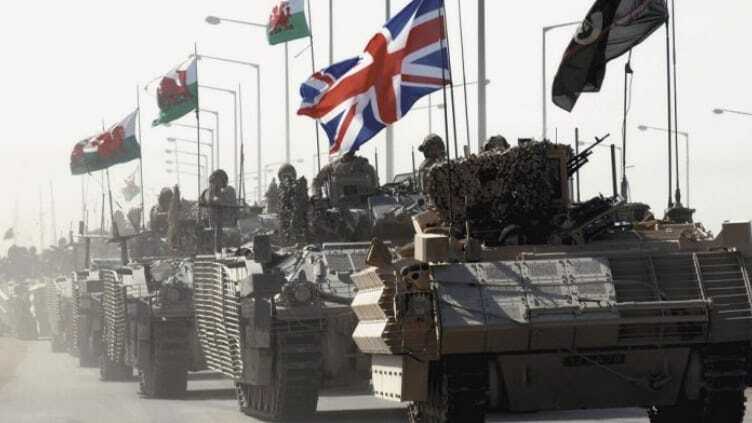 The United Kingdom has 150,000 soldiers and 182,000 reservists. Additionally, the UK has 879 air crafts, 407 tanks and 66 naval vessels. The Republic of India is located in South Asia and is the seventh-largest country in the world. India is the second most populated nation in the world next to China. There are currently 1,251,695,584 (that’s billions) people in the country. While the country is broken down into states and provinces, the military is all-inclusive. There are 1,325,000 active soldiers and 2,143,000 reservists. 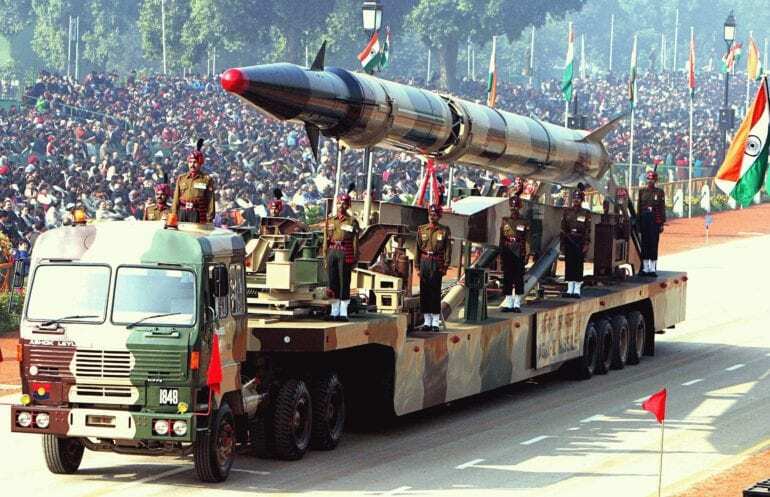 India also has 2,086 air crafts, 6,464 tanks and 202 ships to its name. The People’s Republic of China is the most populated country in the world and is run by a government that is part of the Communist Party. There are 22 provinces in China, while the Central Military Commission is in charge of the entire country. 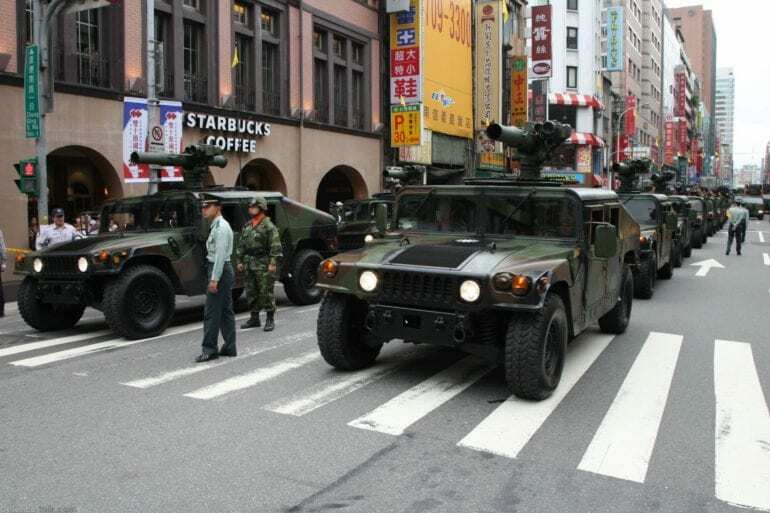 The military budget in China is the largest in the world. 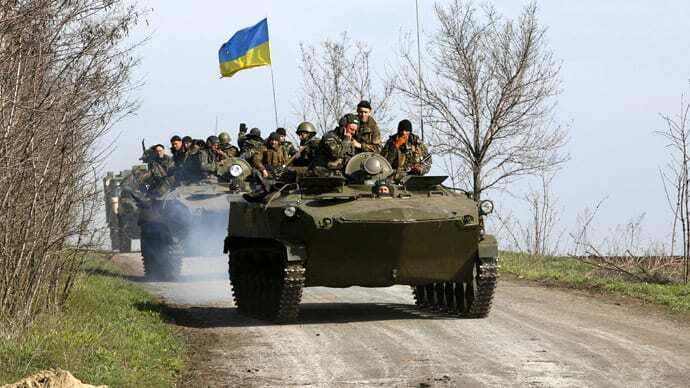 They currently have 2,335,000 active frontline personnel and 2,300,000 reservists. China also holds 2,942 air crafts, 9,150 tanks and 673 naval vessels. There is no way a list such as this one wouldn’t include a country like Russia. 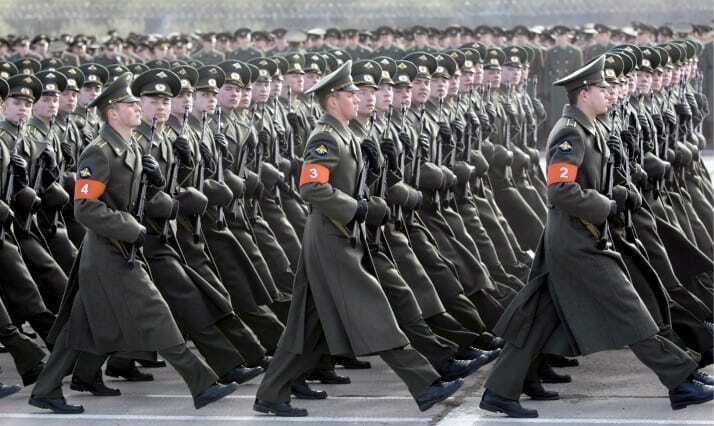 At number two, Russia’s army is stronger than 124 other nations in the world. They overpower most nations in the amount of military tools they have – 3,547 air crafts, 15,398 tanks and 352 ships – as well as in personnel – 766,055 active service members and 2,485,000 reservists. 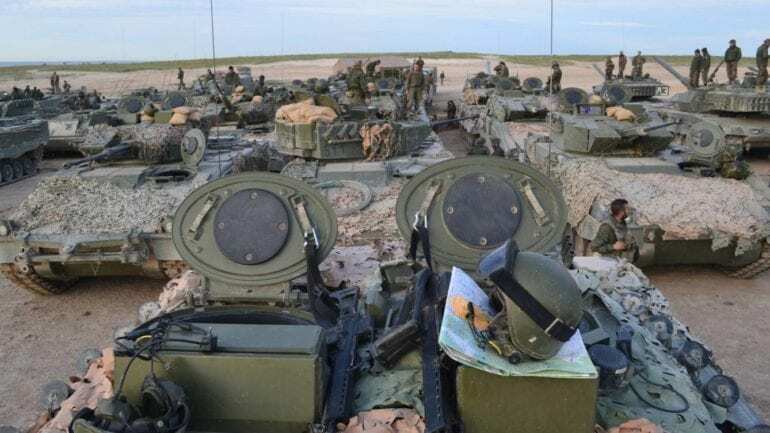 Russia has also been one of the only nations to actively use their military to take part in other international conflicts and send their military vessels to the ‘aid’ of whom they see fit. In the most unsurprising countdown to date, the United States of America is number one when it comes to military power. 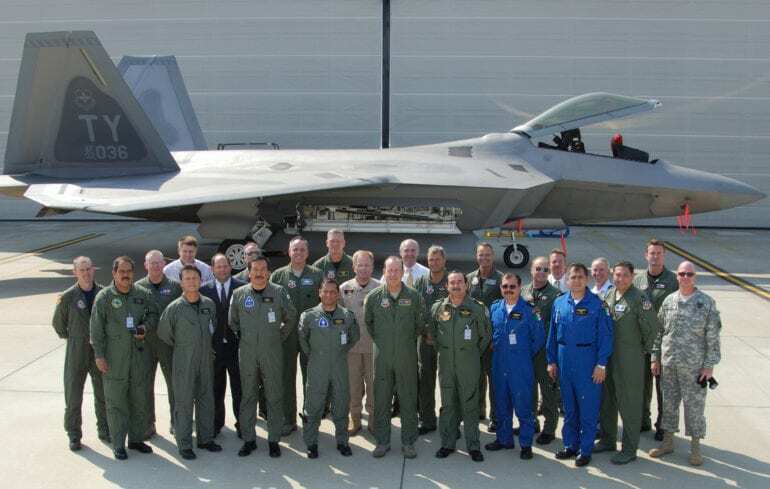 The Unites States has a perfect combination of military personnel numbers and military tool numbers. The spending budget in the United States on the military is the highest and is only getting higher (it jumped up after September 11th, 2001, naturally). The current population of the United States is 321,368,864 of which 1,400,000 are active frontline personnel and 1,100,000 are reservists. The US has 13,444 air crafts, 8,848 tanks and 473 naval vessels.